I called this dish 'Dirty Bumblebee' because it is black and yellow and the top layer is a 'dirty' off yellow. It was a really nice combination of flavours and textures, and very refreshing after a meal. 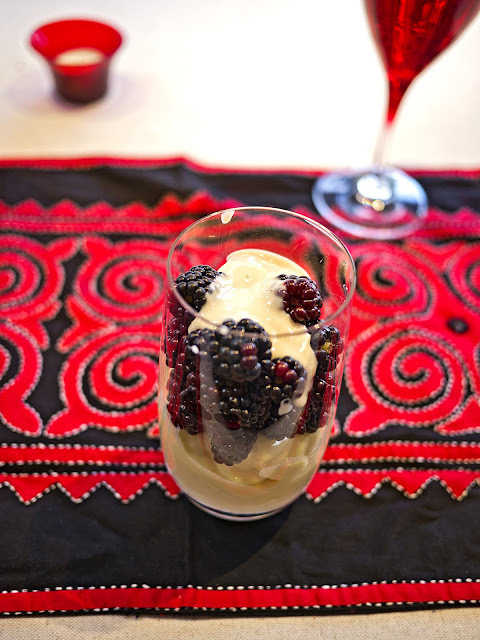 Slice the bananas and mix with the banana and custard yogurt. Place in the bottom of two tall glasses. 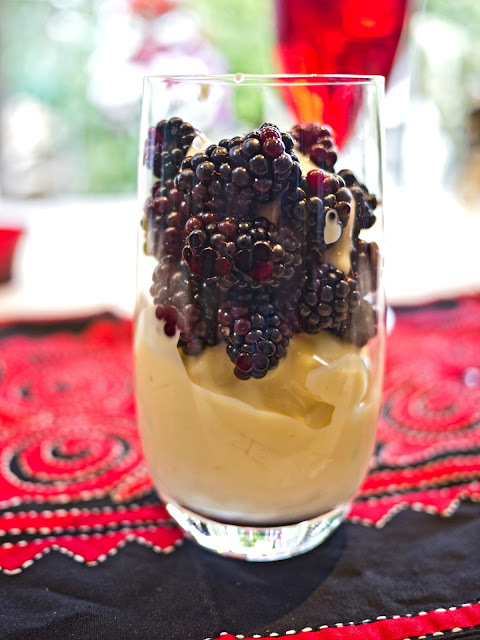 Top with the blackberries and finally spoon over the toffee yogurt.